This is a solid union where the desire for order complements the urge for structure. Forget the champagne and sparklers. These two earth signs will support each other as they build a relationship that means business. Venus in Virgo wants to get it right when she falls in love. Finickiness in selecting a partner is just Virgo’s way of ensuring no one wastes her time. She already knows who Mr. Right is before she even meets him. Serious contenders only, please; this lady will rarely indulge in flings. Venus in Virgo wants a companion who will appreciate her gold standard of devotion. She incorporates love into her daily routine, expressing it with small, practical gestures. Mars in Capricorn is all about control. He’s not comfortable putting himself on the line when someone catches his eye. Proof is required that the attraction is mutual before he makes a move. Once he feels secure, Mars in Capricorn will launch a serious, focused pursuit. Some may find his approach heavy-handed, but he is simply not interested in playing games. Here is a devoted (if somewhat controlling) lover with hidden reserves of sensuality. 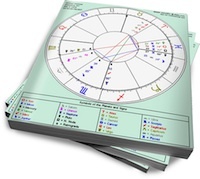 Virgo and Capricorn can both be aloof, so initial approaches are tricky. However, each will be drawn to the complementary energy in the other. Venus in Virgo will recognize that Capricorn is a man of quality and will be charmed by his formal approach. Mars in Capricorn will appreciate Virgo’s respect for his boundaries and will feel safe opening up to her. In turn, he’ll respect her need for order even as he debunks her endless series of anxiety-fueled crises. Virgo will find great comfort in Capricorn’s grounded strength. The caution here is that their greatest asset as a couple could drag the Virgo/Capricorn union down. Realism could degrade into pessimism as the relationship becomes a chore. These two need reminders that it’s ok to just be together and enjoy each other. With the occasional shot of perspective, this can be a satisfying, long-term relationship.